Burma has much to answer for, given the way it has treated its effectively stateless Muslim minority Rohingyas over the years, Patrick Brown writes. But so do its Southeast Asia neighbours who so callously turned these desperate boat people away. If today is an average day for conflict and persecution around the world, then more than 30,000 people will have been forced out of their homes by the end of it. Most of those who survive will join the anonymous misery of some 50 million people living in camps for refugees and internally displaced persons, and many will stay there for decades. Others will risk their lives again — often at the mercy of human traffickers and a treacherous sea — trying to find a new home. The desperate measures they take, and the extraordinary efforts of countries to keep them out, make for dramatic stories, which highlight a small corner of a worldwide humanitarian crisis. About 1,200 people have drowned this year alone trying to cross the Mediterranean from Libya to Europe; thousands camped out in northern France, hoping to get on a truck heading for Britain; and children — over 20,000 in 2014 — sent alone across the Mexican border into the U.S., are just a few recent examples. Each crisis unfolds as if governed by a scientific law that dictates that people will take any risk to move from danger and poverty to a place that might be better. It is usually an equation with fear on one side, hope on the other and ruthless smugglers in the middle. The most recent horror to capture the world's attention are the several thousand members of Burma's Rohingya minority floating around Southeast Asia for the past few weeks aboard rickety boats desperately seeking a country to take them in. Malaysia, Indonesia, and Thailand have been turning them away, sending the overcrowded boats back out to sea. One of the ships, with several hundred people on board, arrived off the coast of Thailand last week to be met by Lt.-Cmdr. Veerapong Nakprasit of the Thai navy and his men. The smugglers, who had charged about $2,000 a head for the trip, had abandoned ship to avoid being caught up in Thailand's campaign against people smuggling. Refusing permission to land, the Thai navy provided food and water, and Lt.-Cmdr. Veerapong told the New York Times the navy also gave training to some passengers "so they can reach their dream destination. We have verified that they can navigate on their own." Dramatic pictures of distressed people being sent back out to sea on overcrowded hulks in imminent danger of capsize generated enough pressure, and offers of international help, for Malaysia and Indonesia to agree on Wednesday to let the ships land. A turning point, for Indonesia at least, seemed to be when local fishermen — shocked by the migrants' plight — helped tow their boats to shore. 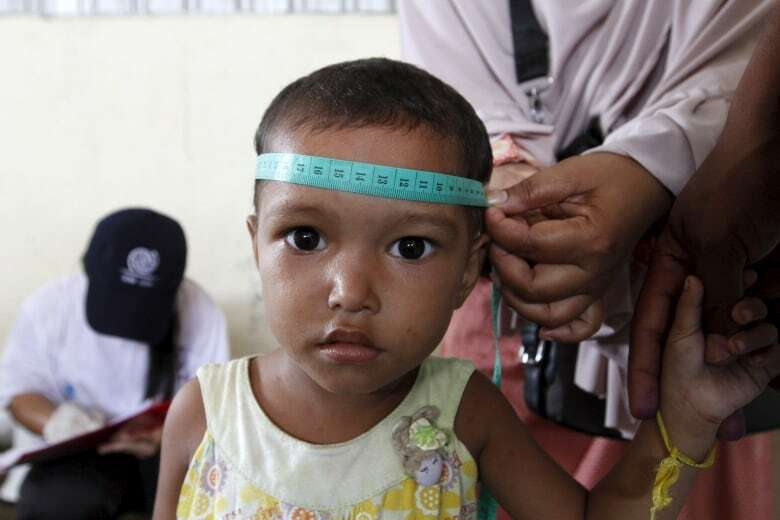 Both Malaysia and Indonesia said they expect the international community to provide resettlement or repatriation within a year. Good luck with that. Australia has firmly shut its doors, though the Philippines and Gambia seem to be making welcoming noises. In the end, Thailand, too, reluctantly agreed not to turn the ships away, but appears to be sticking to a policy of deporting any Rohingya back to an uncertain fate in Burma. Persuading Burma's neighbours to take in these refugees was a necessary solution for those on the boats, but much more effort should probably be put into persuading Burma itself to change its ways. The Royingya are not fleeing war or natural disaster. Bengali-speaking Muslims from Rakhine state, on the border with Bangladesh, they are victims not only of pogroms whipped up by anti-Muslim Buddhists, but also of official discrimination and persecution. Denied civil rights and citizenship, and with limited employment opportunities, they are not on the list of 135 ethnic groups included in the country's census. In fact, they are accused of being foreigners despite living in the area for centuries. 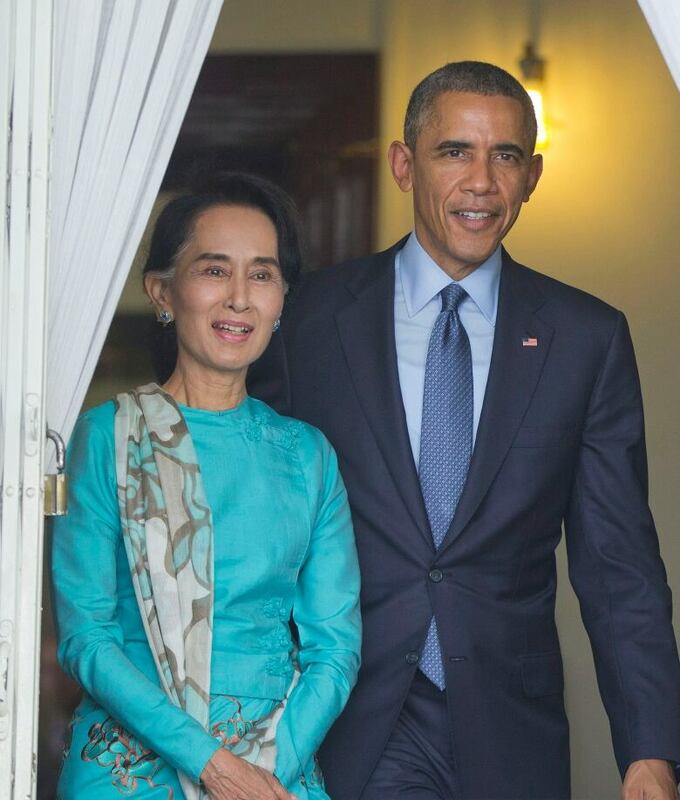 After ruling with an iron fist since 1962, Burma's generals began liberalizing in 2011, and were welcomed back into the international fold with a visit by President Barack Obama in 2012. If that is to be continued, then clearly the generals who have switched their uniforms for suits in the post-junta government have a responsibility to see that human rights are respected, particularly when it comes to the Rohingya, victims of the worst abuses. Nobel laureate Aung San Suu Kyi, an icon of freedom and democracy who hopes to become Burma's president one day, also has a role to play. Her refusal to use her immense popularity and moral authority on behalf of an oppressed minority seems inexcusable. This crisis is Burma's to solve, but it was the callous behaviour of Burma's neighbours that has aroused international opinion. Still, developed countries are hardly entitled to indulge in too much self-righteous condemnation. Australia intercepts refugee boats and takes their passengers to island detention camps before shipping them off to countries like Cambodia, Nauru and New Guinea where their prospects are slim. We might also consider Canada's reaction to two boatloads of Sri Lankan refugees washed up on our shores almost six years ago. Certainly we did not push sick and hungry people back out to sea, but the federal government moved quickly to introduce Bill C-31 subjecting "irregular arrivals" to mandatory detention, and ever longer and more arduous procedures for refugee claims. Compared with the millions wasting their lives in squalid camps, and the large numbers of asylum seekers arriving by more conventional means like airplanes, boat people are a very small part of an enormous global problem. In the long run, concerted and creative efforts to tackle the global refugee crisis with grace and generosity would probably be more useful than callous and selfish programs building bigger obstacles to keep people out.